A great tool for any videographer on the move. High output compact LED light gets 6 hours on one camera battery. 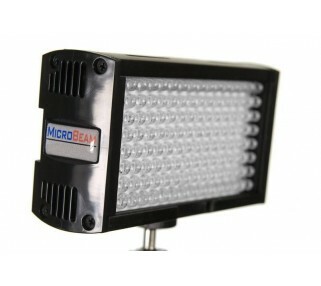 A great tool for any videographer, and state-of-the-art LED means no hot lights and heavy battery packs. This video camera LED light rental fits in the accessory shoe of most camcorders and has a variable control to optimize the amount of light on your subject. High output compact LED light, 100W hot box equivalent output. This model last over 6 hours with one extended life camera battery.